My name is Rajesh Deepak. I started blogging to express my view and ideas about the current scenario. 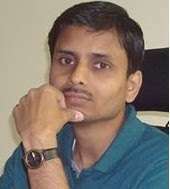 Previously I was working on my blog "rajeshdeepakblog.blogspot.in", that was based on Sub-domain. I have applied for Google Adsense to earn money online. Successfully I got the approval but due to limited availability and service, just I started the new blog with "New Domain", that is.COM. I am working with a private organization. But I started this to learn more about Google and explore my filed from traditional job to something different and interesting. Every day I have learned more and more from my ups and down in blogging. In past, after several failed efforts to got the Adsense approval, I did not leave my effort. Every moment I keep in my mind to set the Error and apply with new hope. Finally, I got the result. I am a simple graduate and did not have any technical skills but today I learned about several techniques through blogging. In last I would like to say that only keep your effort on priority to successful your dreams.